Bringing Training and Self Defense to Those Who Want to Provide a Safer Environment for Themselves and Their Families. through the Krav Maga Association of America. He is a decorated Marine Corps Sniper and veteran of Desert Storm. Neff has more than thirty years’ experience in mixed martial arts. Our mission is to bring training in self-defense to those who want to provide a safer environment for themselves and their families. We do not promote or condone fighting we believe that one should always be capable of defending themselves when involved with a violent encounter. With the ever growing problem of gangs, terrorism and constant threats of violence, we feel that each man, woman and child should be able to defend themselves. Our goal is not to train a person to be a fighter nor bullies, but to train them to be defenders of all that is good. Chief Instructor Neftali Rivera has more than 30 years’ experience in mixed martial arts and is a certified Krav Maga Instructor through the Krav Maga Association of America. He is a decorated Marine Corps Sniper and veteran of Desert Storm. 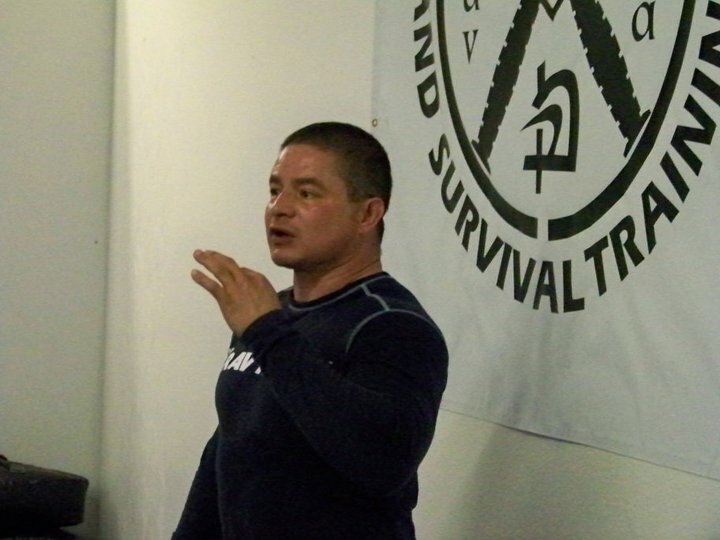 Louis has been a Krav Maga practitioner and instructor for over a decade. He is a Black Belt Instructor and also a NRA certified firearms instructor. Todd is originally from Hawaii and began training Krav Maga in 2009 under Neftali Rivera. A year later he started instructing at the center with Nef and Louis as mentors. Todd’s past experience include Kung Fu, Karate, Judo, Muay Thai and Jiu Jitsu. Steven has trained in Krav Maga for 3 years, through passion and hard work has led him to become an instructor at Corona Krav Maga. Steven is also a Certified NRA firearms instructor.